Plants are leafing out and flowering sooner each year than predicted by results from controlled environmental warming experiments, according to data from a major new archive of historical observations assembled with the help of a NASA researcher. 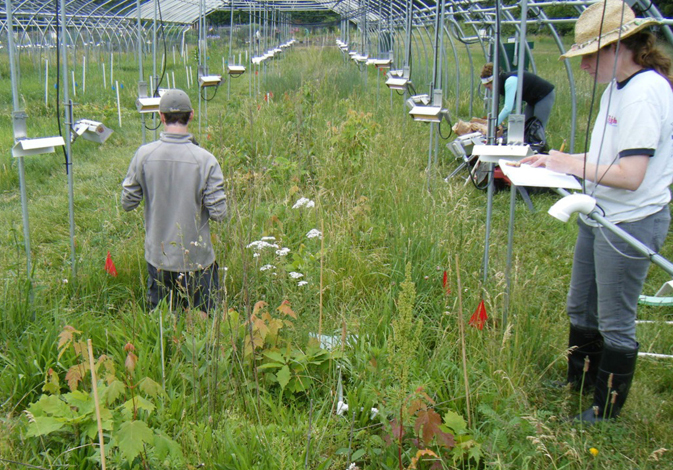 Researchers use experiments that manipulate the temperature of the environment surrounding small plots of plants to gauge how specific plants will react to higher temperatures. The observed plant responses can then be incorporated into models that predict future ecosystem changes as temperatures around the globe continue to rise. But when a group of scientists compared these results to a massive new archive of historical observations, they found that the warming experiments are dramatically underestimating how plants respond to climate change. The results were published online in the journal Nature on May 2. In addition to quantifying how a broad collection of plant species have responded to date to rising temperatures, the study suggests that the way warming experiments are conducted needs to be re-evaluated. "This suggests that predicted ecosystem changes -- including continuing advances in the start of spring across much of the globe -- may be far greater than current estimates based on data from warming experiments," said Elizabeth Wolkovich, who led the interdisciplinary team of scientists behind the new research while she was a postdoctoral fellow at the University of California, San Diego. "The long-term records show that phenology is changing much faster than estimated based on the results of the warming experiments. This suggests we need to reassess how we design and use results from these experiments." Benjamin Cook, of NASA's Goddard Institute for Space Studies and Columbia University, New York, worked with Wolkovich to create the massive new archive of long-term, natural phenology observations to gauge the accuracy of the phenological predictions based on these plant warming experiments. The archive includes data from 1,558 species of wild plants on four continents. The historical records showed that leafing and flowering will advance, on average, five to six days per degree Celsius -- a finding that was consistent across species and datasets. These data show that estimates based on data from warming experiments are underpredicting advances in flowering by eight and a half times and advances in leafing by four times. The authors expect the data archive to be an important benchmark in future phenology studies. "These results are important because we rely heavily on warming experiments to predict what will happen to ecosystems in the future," said Cook, who helped bring together a research team including support from the National Center on Ecological Analysis and Synthesis to build the archive of real-world observations. "With these long-term observational records you may be able to pick up a shift in a plant community over a few years that you wouldn't be able to observe in an experiment." 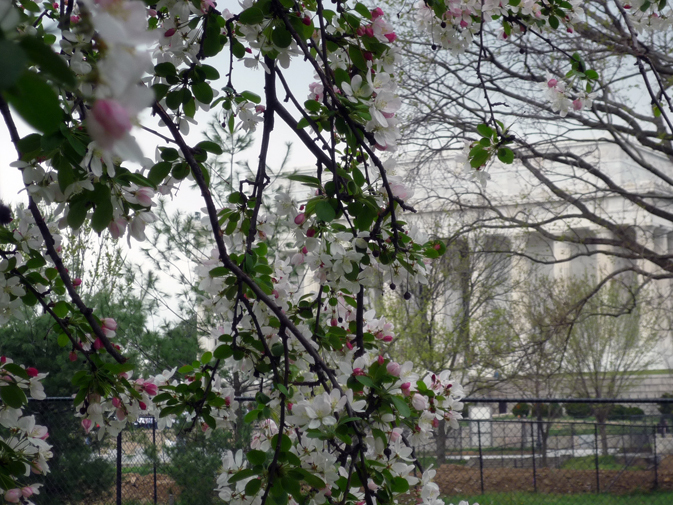 The study of phenology, the timing of annual plant events such as the first flowering and leafing out of spring, provides one of the most consistent and visible responses to climate change. Long-term historical records, some stretching back decades and even centuries, show many species are now flowering and leafing out earlier, in step with rising temperatures. Because these records aren't available everywhere and predicted future warming is often outside the range of historical records, ecologists often use controlled experiments that create warmer conditions in small plots to estimate how different species will respond to expected temperature increases. The timing of plants' flowering and leafing out in spring is not only a basic, natural indicator of the state of the climate. Predicting plant responses to climate change has important consequences for human water supply, pollination of crops and overall ecosystem health. Wolkovich, Cook and colleagues suggest a number of potential reasons the estimates based on experimental data have underpredicted the plant response to higher temperatures. There could be additional effects of climate change not mirrored in the controlled experiments, or from the fact that the methods used to create warmth in the studies could be creating counteracting effects such as drying out soils or reducing the amount of sunlight reaching the plants. "Continuing efforts to improve the design of warming experiments while maintaining and extending long-term historical monitoring will be critical to pinpointing the reasons for the differences, and will yield a more accurate picture of future plant communities and ecosystems with continuing climate change," Wolkovich said. Wolkovich, E.M., B.I. Cook, J.M. Allen, T.M. Crimmins, J.L. Betancourt, S.E. Travers, S. Pau, J. Regetz, T.J. Davies, N.J.B. Kraft, T.R. Ault, K. Bolmgren, S.J. Mazer, G.J. McCabe, B.J. McGill, C. Parmesan, N. Salamin, M.D. Schwartz, and E.E. 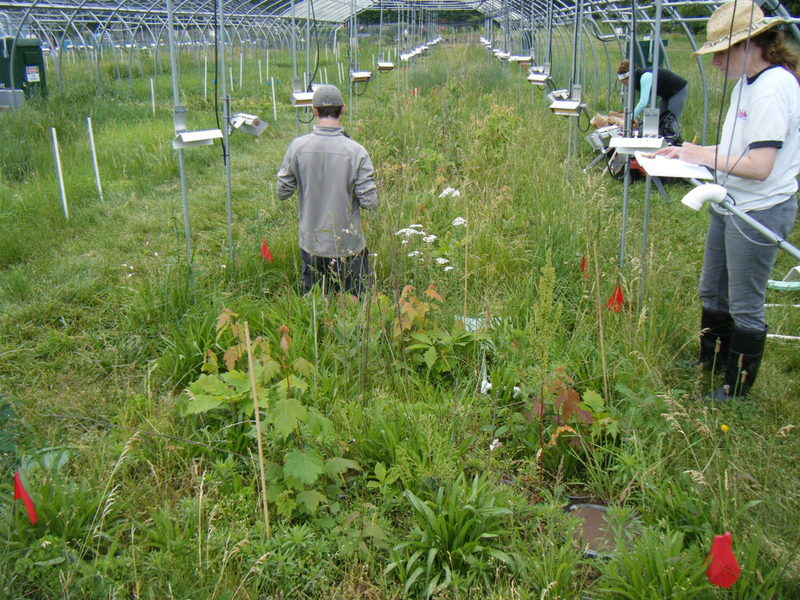 Cleland, 2012: Warming experiments underpredict plant phenological responses to climate change. Nature , 485, 494-497 doi:10.1038/nature11014. This article was originally prepared as a NASA portal Looking at Earth news feature. Text issued as Goddard Release No. 12-042.